Last winter, BUILD met with architect Dean Sakamoto on Oahu to talk about the late Hawaiian modernist architect Vladimir Ossipoff (1907-1998). 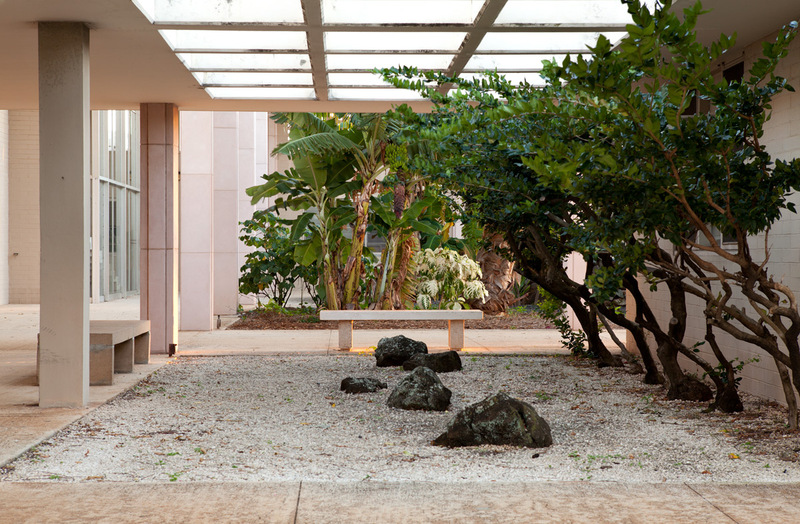 Sakamoto operates an architecture practice in Honolulu and guest curated the 2007–2008 exhibit Hawaiian Modern: The Architecture of Vladimir Ossipoff at the Honolulu Museum of Art. 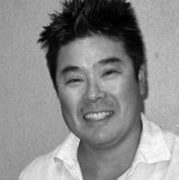 Sakamoto is widely recognized as the world’s leading expert on Ossipoff, known as the master of Hawaiian architecture within the postwar phenomenon of tropical modernism. 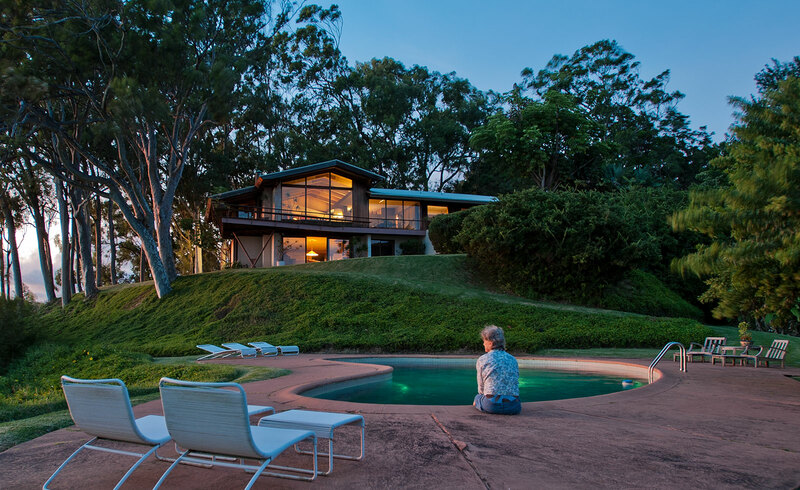 We talked about the challenges of getting to know Ossipoff’s work, the architect’s life, and his design response to the Hawaiian environment. Check out part 1 of the interview in ARCADE Magazine, Issue 35.2, available in print and on their website. 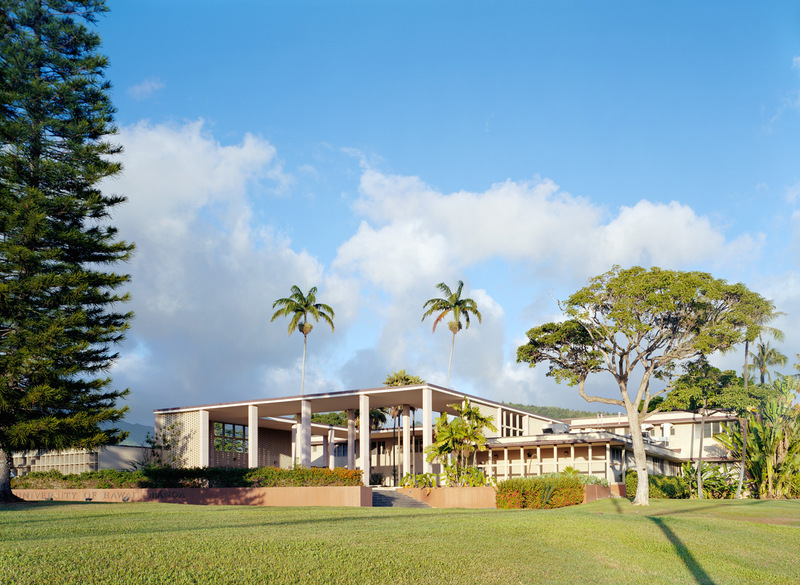 Why did it take an outsider like Vladimir Ossipoff to provide Hawaii with a timeless modernism? Hawaii was a very isolated place then and he always saw himself as an outsider. Being an outsider also made him more memorable, though. He dressed well, was well poised, and people remembered him. 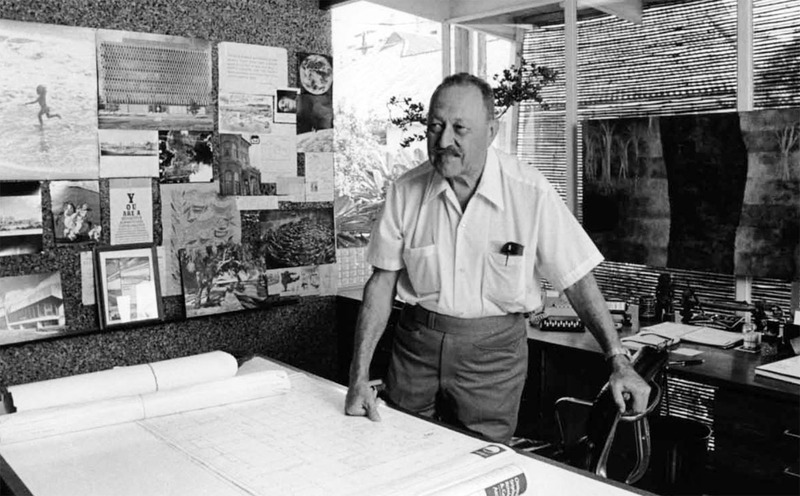 At the same time, Ossipoff was a survivor, he knew how to adapt to the situation and turn it to his advantage; whether it involved a design style or the way he conducted his business. When everyone was going in one direction, he’d go another. According to his business partner of 50 years, Sid Snyder, you could never predict what he was going to do next. His mind was always working and he was unpredictable. He was a critical thinker and he was provocative. Given that he was completing notable projects in the 1950s, what kept his work from being studied seriously until the 2007 exhibit and publication? The topic of tropical architecture was marginal then. 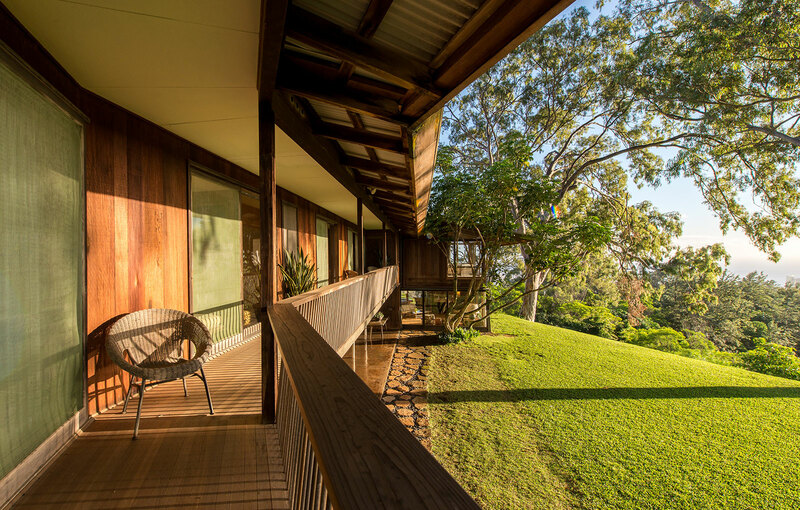 It made a mainstream appearance for a short time after the war by way of Maxwell Fry and Jane Drew with their books on tropical architecture. Fry and Drew were British subjects but they served the colonies and became familiar with architecture in Africa, India, and the tropics. 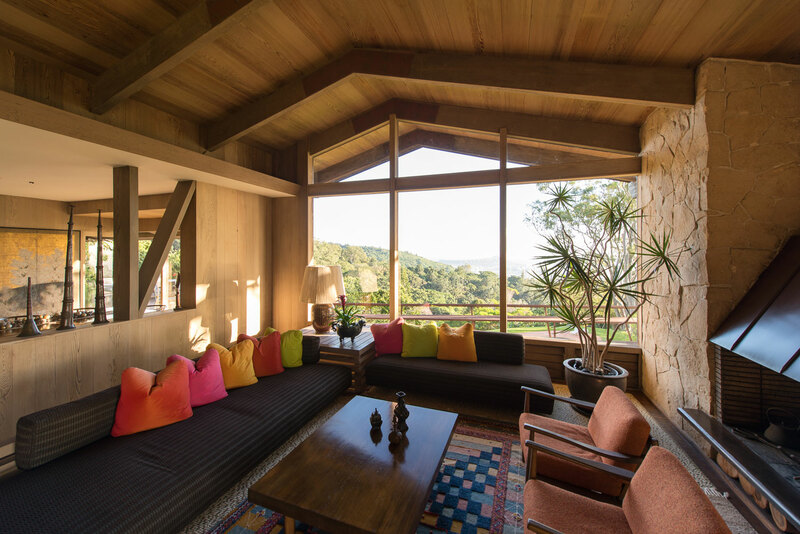 They discovered that the tenets of modern architecture were very sympathetic to warmer climates — it’s lack of ornament, emphasis on structure, spatial volume, and connection to nature. They found that it was more natural to do modern architecture in a warmer climate than in a temperate climate. 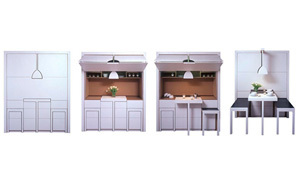 Ossipoff’s philosophy of design is described as understated, not ostentatious or imposing. Can you speak to the discipline required of a client who seeks out an architect to design a custom home that is understated? The Liljestrands started the design discussion by telling Ossipoff that they didn’t want anything fancy, but rather a design that satisfied the program. They wanted something like a mountain house but more refined. They wanted to look at the twinkling lights below in Honolulu, they wanted to listen to music, but the last thing they wanted was a house that would be recognized. The Goodsill house was intended to be a starter house and was designed like a Japanese farmhouse. Despite the fact that the owner, Marshall Goodsill, went on to become one of the most powerful attorneys on the island, he couldn’t leave the house. He could have built whatever he wanted. When he died, he bequeathed the home to the Honolulu Museum of Art. These are clients that understood the beauty of restraint. How was Ossipoff able to enroll clients in energy efficient design long before the importance of sustainability was a conversation? 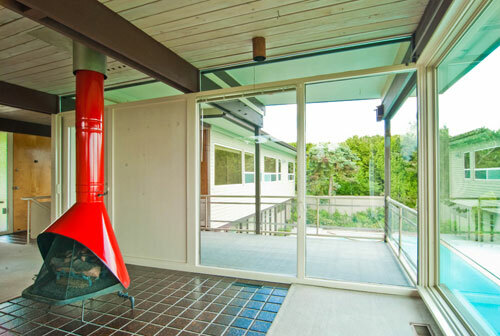 It was common sense then to use the trade winds to cool a home on Oahu. Also, his clients typically became his friends. Howard Liljestrand became his doctor and Ossipoff was typically up at the house once a month for social reasons. He would be involved in decisions as simple as picking out new fabric. What other subtleties about his work might not be immediately obvious? He always makes you work for the view — it is a path of discovery. It’s the non-building that he’s designing and you have to work your way to the prize. There are typically lifestyle recommendations that go hand-in-hand with living in modern architecture. Were these practical requests of Ossipoff’s work, given the informal nature of Hawaiian culture? You have to put this in context with “Hawaiian culture” at the time, which has been marginalized since the missionaries started arriving in the 1800s. In 1893 Hawaii’s monarchy was overthrown and replaced with an oligarchy of businessmen and sugar cane planters, which was followed by a period of population growth from Asia. For a brief time, it was even illegal to speak Hawaiian. So by the time Ossipoff set up shop, Hawaiian culture was very different. Given that the Liljestrand project consumed a decade of Ossipoff’s career, were projects like this lucrative for him? Ossipoff’s original registers, which we have, are an incredible record of design and construction of the house. The total payment for the design of the house was $4,500 and he charged for seven site visits at $175 each. There were no further charges. The cost to construct the house in 1952 was $60,000 and to build this house in today’s market would be several times over these costs adjusted for inflation. He was able to get projects constructed very effectively because he was trans-cultural; he could speak Japanese and most of the labor force in Hawaii at the time was Japanese. What kind of a businessman was Ossipoff? Because of his European roots, Ossipoff associated with the oligarchy and the business elite. After the democratic revolution of the 1950s, all the state contracts were through the Asian-Americans and for Ossipoff to get the airport project was quite unusual. Ossipoff seemed a master at making rules, then breaking them very elegantly, like the subtle asymmetrical shift of the gable roof on the Liljestrand House. Was this a common practice in his work? He definitely wasn’t a purist and there’s a looseness in his work. His appreciation for the process of construction allowed that looseness to happen within the design. This interview took place at Ossipoff’s outstanding Liljestrand House (b. 1952). BUILD would like to thank the Liljestrand Foundation’s Bob Liljestrand, the son of the original owners, for opening up the house for the interview and contributing to the discussion.